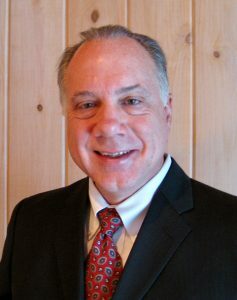 Plockmatic Group, one of the world’s leading developers and manufacturers of document finishing technology, has announced that Jerry Sturnick has joined the group in the role of Vice President and General Manager of Plockmatic Document Finishing, Inc. (PDF, Inc.) PDF, Inc. is the rapidly expanding U.S. subsidiary of the Plockmatic Group. Jerry will report to Plockmatic Group CEO Jan Marstorp and is based at the company’s Rochester, NY headquarters. In this new role Jerry will lead the sales, technical support and logistics teams supporting dealers and OEM customers in North America, covering all in-line and off-line solutions sold under the Plockmatic and Morgana brand names. Jerry recently completed a successful forty-year career with Xerox Corporation. 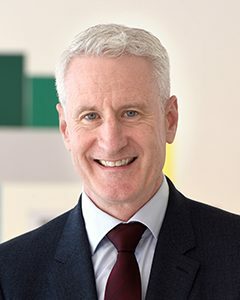 For the last twenty years Jerry served as their Worldwide General Manager of Finishing Solutions within the Graphic Communications Business Group where he set the strategy and delivery plans for finishing solutions developed by Xerox, Fuji Xerox, as well as third party suppliers. Sturnick is known in the industry for constantly embracing innovative new approaches to drive customer value, such as the first full bleed booklet solutions, dual-mode finishing capable of supporting both in-line and off-line workflows, and utilization of standard interfaces to deliver improved automation, document integrity, and flexibility. Jerry holds a Masters of Science in Mechanical Engineering (MSME) from Rochester Institute of Technology, a Professional Engineering (PE) License from New York, and Masters in Business Administration (MBA) from the University of Rochester Simon School of Business. He has also served on multiple boards to help promote industry standards. Plockmatic International AB, based in Stockholm Sweden, is a global supplier of finishing solutions to the print and mailing businesses. With over forty years of experience, the company has built a solid reputation as an efficient and flexible provider of finishing solutions. Our technologies connect inline to a digital printing system or process applications offline. We also provide a growing range of mailing inserting systems. The group’s solutions are sold primarily under the Plockmatic and Morgana brand names in over fifty countries.